Social media marketing and online marketing professionals all over the world are making efforts to use images the best way to get maximum out of their marketing efforts. 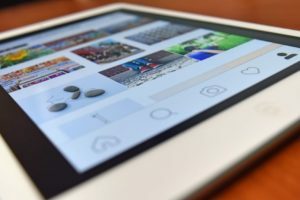 Images play a very significant role in communicating your message to the target audience and that’s why they can be an integral part of social media marketing campaigns. With the help of image retouching, social media marketers can achieve their targets easily and shortly. What Exactly Visual Social Media Marketing Means? Though there may be many definitions and explanation but in the simplest words, visual social media marketing is the use of images, or sometimes videos, to communicate visually. When you use photos or video clips to tell you story to your audience in order to promote something, you are resorting to visual social media marketing. Human mind process images quicker than text, and that’s the fact that makes images important for social media. A few decades back, blogging was the most preferred way to share your thoughts with your target audience. At that time, there were long posts around which writers used to build communities. Then Facebook came into the picture and the length of the posts decreased. And later came Twitter, with just 140 characters’ limit. What it all means? The trends keep on changing. And one more thing to notice is the internet users want more convenience in receiving information. Keeping all these things in mind, one can easily ascertain that the next trend is multimedia microblogs. We went from blogs to microblogs and soon we will migrate from microblogs to multimedia microblogs. The basic reason behind it is that communicating with images is much more convenient than any other way to communicate. What Images to Use for Social Media Marketing? Image based content for online use comes in many forms. Which one should you choose depends on a lot of things like the nature of the business, the purpose of using the image, the platform for posting and your preferences. Here are some types of image based content. If your target audience finds the images shared by you informative and interesting, they will share it on various platforms and your message will be delivered to numerous people. We should always remember that humans connect emotionally to images, way more than text, audio or even videos. A good image has the power to compel people to take decisions and take the intended actions quickly. Unfortunately, text is not that efficient in it. Why Image Retouching for Social Media Marketing? Can a vague, unsightly or less detailed image make a good impact on viewers? NO! That’s the reason images to be posted for social media marketing should be appealing and detailed. About 80% of the brain’s energy is consumed only by eyes. That’s enough to understand the impact of visuals on our mind. Information received in form of visuals is easier to grasp and recollect. Social media marketers can be highly benefited by using retouched and edited images. A picture that catches eyes has more potential to engage viewers. And hence, the chances of your message to hit the audience go stronger. Social media channels like Facebook, Tumblr, Instagram, and Pinterest are loaded with innumerable images used for promotional purpose. Out of all these images, only those images which are highly appealing make their mark and serve the intended purpose. Social media marketers can take image retouching services from a professional company to add to the effectiveness of their marketing strategies. Without good images, the success of a social media marketing campaign is quite doubtful. Next Next post: Why Online Tools for Background Removal shouldn’t be Used?